Pretty pale yellow color, glossy green. Nose with delicate notes of white fruit, citrus fruits and spring flowers, fresh and beautiful aromatic intensity. Mouth of a freshness, rich and mineral acidity, final aromatic and sapid. This 2016 wine presents a lot of expression and balance. If you enjoy quaffable wines, this one is ideal as an aperitif or paired with a simple meal. The 2016 vintage is exceptional, both in terms of quality and quantity, thanks to idyllic weather conditions that protected the vineyards from climatic accidents throughout the whole year. 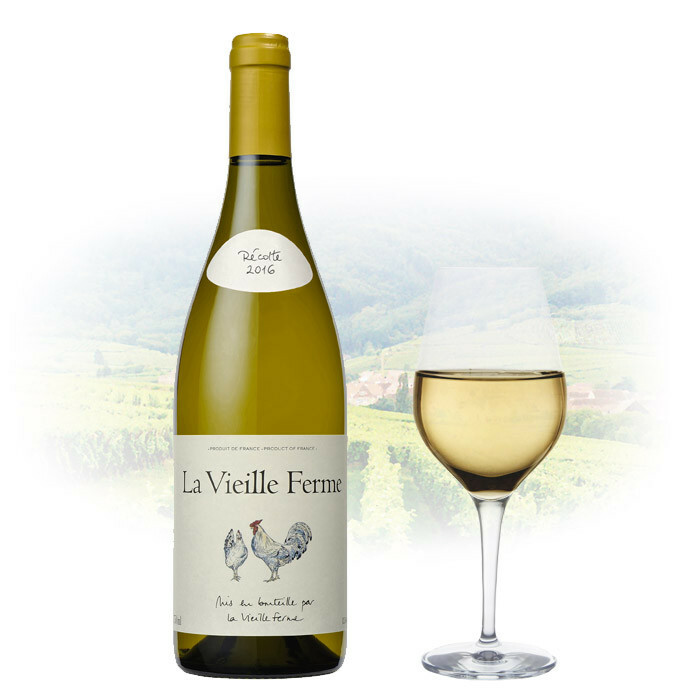 Renowned for its exceptional value for money (included recently in the famous Wall Street Journal), La Vieille Ferme Blanc is fruity, crisp and soft with great body. A wonderful “enjoyment” wine!